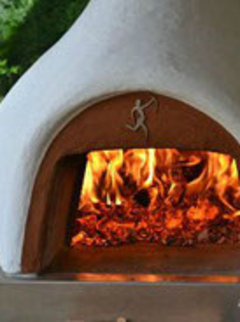 Since 2000 we have been designing, manufacturing and selling a range of Wood Burning and Wood Fired Ovens that are suitable for our UK Climate. Right from the start we wanted to produce an oven that would come up to temperature fast and have enough residual heat for cooking all the things that you just love to eat. 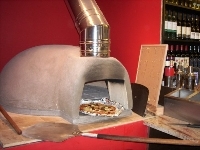 Our Ovens are now available in 3 sizes and 3 models - to suit the most demanding requirements. Our Domestic Garden Ovens are for outdoor use and for environments where they will on average, used up to 30 times a year. 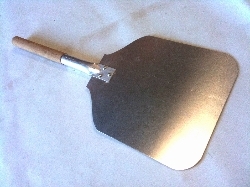 The Commercial Grade Oven is thicker, heavier and has more reinforcing and is designed for use 24/7!!!! This is also suitable for indoors installations. The Mobile Oven Range is based on the Commercial Oven, but with even more support to ensure that they are capable of being regularly towed around on a trailer. A whole load of bits and bobs you may want to have with your oven.